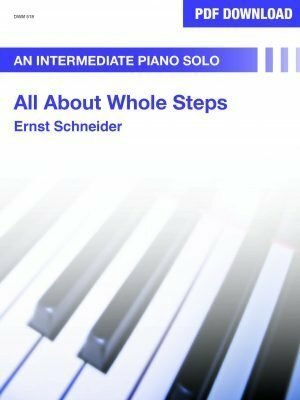 All About Whole Steps is an early intermediate piece using Whole Steps (the Whole Tone Scale built on C and D flat). The changing metre and tempo, varied articulation, toccata passages, pedal and wide dynamics range combine to create an appealing and creative study in whole steps. 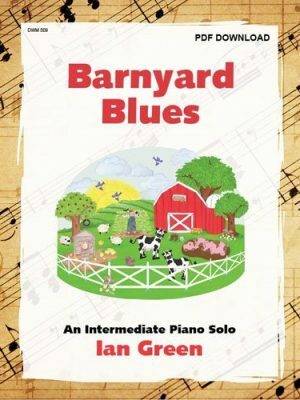 Barnyard Blues is written in swing rhythm and the G blues scale for the late intermediate pianist. The constant left hand eighth note patterns in a 12-bar blues pattern support the attractive right hand riffs for a cool blues work! Barnyard Blues will appeal to all ages of performers and audiences. 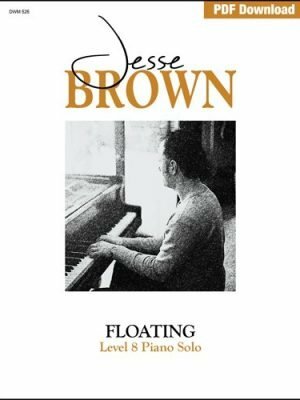 Floating is another beautiful piano solo by Jesse Brown for the advanced player. Brown captures that feeling of floating between wakefulness and sleep in this dreamy work. 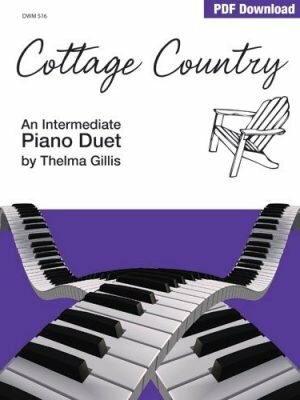 The use of upper registers, gentle tones, changing metre, hemiola and beautiful harmonies make this a great performance work. 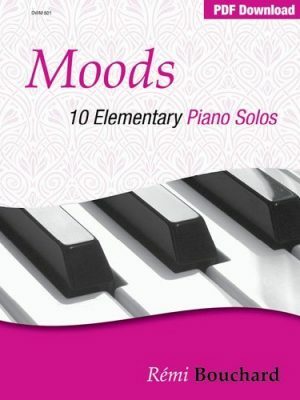 Flocks paints a gentle, freely soaring image for advanced pianists. Jesse Brown uses widely spaced arpeggios in ostinato, gentle syncopations and polyrhythms and beautiful melodies to capture the imagery of a free spirited flock. Ideal for exams, festivals and recreational playing. 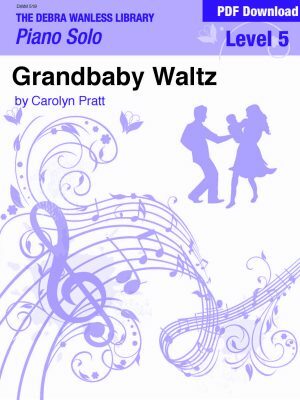 Grandbaby Waltz is a charming romantic style waltz for the early intermediate performer. 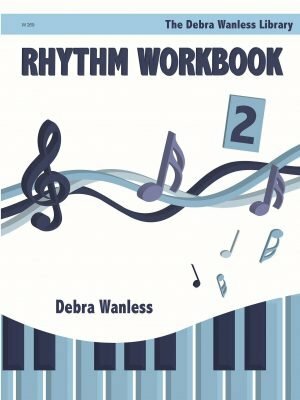 Traditional harmonies, dotted rhythms, octave extensions and a conversational B section combine to create this attractive dance. Jacket Juice is an advanced piano solo from Canadian pianist/composer Jesse Brown. 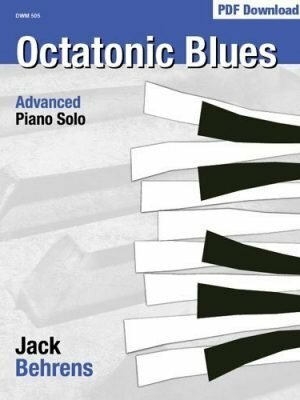 Written in a blues, swing and ragtime style, this piece is a real gem! Jesse says: “‘Jacket Juice’ was written for my youngest son who was coming home from school with a growing raspberry on his chin a few years back. After a few days, we learned that he was sucking on his Jacket flap to and from school. When I asked him to stop for the sake of his ailing chin, he almost started crying, looked up at me and said… ‘but Daddy! 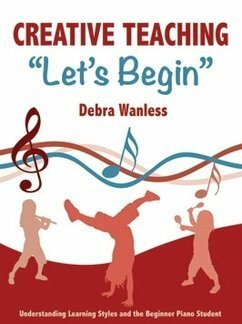 I like the Juice!’” Great solo for exams, festival and recreational playing! 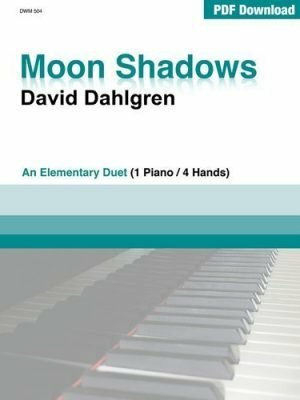 Moon Shadows is a delightful originally commissioned for Contemporary Showcase Mississauga, Ontario, Canada. The shimmering triplet ostinato, counter melodies and wide use of the keyboard combine to create a beautiful sound-scape for this evening scene. Ideal for recreational or performance ensemble playing.